okay then... it's just dumb. Sorry, this was the last stupid joke about this movie. 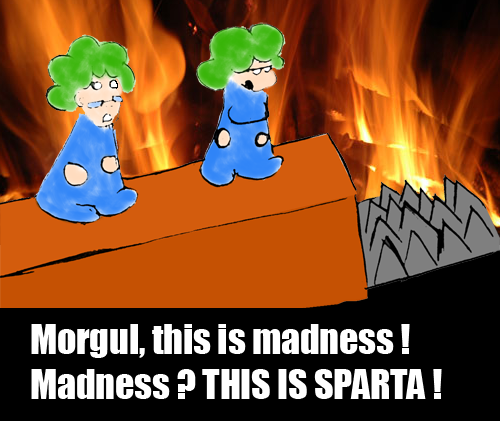 Lemmings keep walking wathever there is (water, lava, spikes). "Madness? THIS IS MUSHROOM KINGDOM!" Best parody I've seen so far. HAHA i like the nes picture at the end "ploop!" Yeah, I loved that. It's even funnier if you imagine him saying it in the "itsa me, Mario!" voice.